Bakes an objest's World-Space/Space Warp animation to a copy, using local Point Cache modifier. 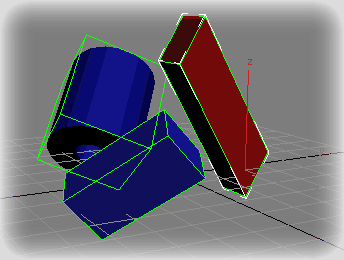 Then you can apply local modifers on top to continue animating the object's deformation locally. This is a short script to automatically detach faces from an object. Select as many objects as you like at the same time. The script will preserve the local rotation of each face so that an object can be easily "exploded" along its normals. Simple tool inspired in Maya LRA that able users to quickly ajust any node(s) pivot(s) orientation. Axis-space selectable. Not very elegant, but seems to work OK.